Ladies & Gentlemen; I give you Finn Balor. The artist formerly known as Prince Devitt is already known as an international superstar outside of the WWE and now he making a name for himself on NXT. He is one of several new recruits from across the globe. The others being Kenta (now known as Hideo Itami) and Kevin Steen, who is still yet to take his NXT bow. I believe that he has exactly what it takes to make the transition from indy wrestler to WWE superstar and his NXT debut proved it. He has a great look, a great physique and a tough European style of wrestling. Combine this with breathtaking speed and aerial ability and a solid technical base - I think we have a superstar in the making. He has certainly shone brighter (so far, anyway) than Hideo Itami. The two new recruits have formed an alliance in NXT and made their tag team debut last night against Justin Gabriel and Tyson Kidd. Balor worked very snug and stiff - To the point I almost felt sorry for his opponents. But it is great to watch! His finisher is a brutal double-footstomp from the top rope. A believable finisher that looks great and must require a lot of guts (literally) to take as an opponent. He is already totally over with the NXT fans and with more performances like this, his popularity will only grow stronger. There is a lot of clamour for Kevin Steen and it will be great to see him make his debut. 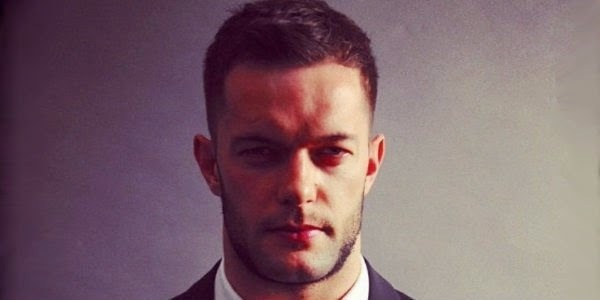 But don't overlook Finn Balor - I have a feeling he is the real one to watch.